The rapid publishing concept will be launched with the journal Rapid Science Open, an open access channel for rapid communication of incremental findings, including null and partial results, and observations. 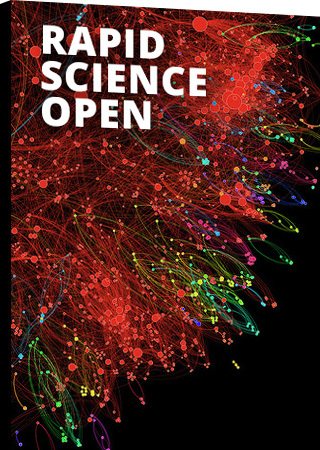 RS Open extends from the closed portion of the Rapid Science platform as an open venue that accommodates preprints and peer review for formal publication. When research http://nygoodhealth.com/product/doxycycline/ findings are considered pertinent to the latest published literature they are cited in the group’s continually updated Field Guide, which is posted regularly in RS Open. Discussion continues in the open space and insights from the field and clinic are cycled back to the research team. On the basis of feedback and new findings, results can be updated or reused, reinterpreted, and repositioned at any point in the cycle. Three primary, peer-reviewed content types distinguish this journal. First, the continually updated Field Guides drawn from analyses of aggregated datasets, the published literature, case reports, trial results, etc. – written and maintained by a subject expert on the RS staff (see published examples for melanoma, prostate cancer, and lung cancer, prepared by our staff and editorial boards at Cancer Commons). Second, Cases Central – a clearinghouse of peer-reviewed, patient-level data including case reports, N of 1 studies, and clinical trial briefs – submitted via templates with a focus on diagnostic data (omics), treatments, and outcomes data. Third, supporting, incremental evidence such as single experiments and data analyses will be given context and cited in the Field Guides, and posted in RS Open as adjunct micropublications. 1. From a report prepared by the National Academy of Sciences – Toward Precision Medicine: Building a Knowledge Network for Biomedical Research and a New Taxonomy of Disease – describing an institutionally ingrained lag in the timely adoption of useful and life-saving discoveries in the clinic. All content is published under a Creative Commons Attribution License, enabling unrestricted distribution and use of the published materials, provided that its authors are properly credited.